The Indian Navy commenced the largest coastal defence exercise, Exercise Sea Vigil, off the Indian coast on 22 January 2018. This is the first of its kind exercise and is being undertaken along the entire 7516.6 kilometre coastline and Exclusive Economic Zone of India. The exercise is involving all the 13 coastal states and Union Territories along with all maritime stakeholders, including the fishing and coastal communities, said a press release by the Indian Navy. According to the statement by the Indian Navy, Exercise Sea Vigil aims to comprehensively and holistically validate the efficacy of the measures taken since 26/11. Seaward monitoring during the exercise will entail patrolling off coast, in Offshore Development Areas and off our islands by the Indian Navy, Indian Coast Guard, supported by the State Marine Police. Closer coast, strategic assets, ports, Single Point Moorings (SPMs) will be patrolled by designated agencies. Seaward monitoring will also entail inputs from technical means, including intelligence sources. Shore-based monitoring will entail enhanced vigil by the state police along the coast; monitoring of fish landing centres by state fisheries departments; as also monitoring of port areas by respective port authorities. The massive two-day exercise, reportedly involving over 139 ships and 35 aircraft of the Indian Navy and the coast guard alone, as well as the Unmanned Aerial Vehicles (UAVs), witnessed the forces combing India’s western and eastern seaboards to intercept and identify possible ‘threats.’ The exercise will involve a massive deployment of sea assets by a myriad of security organisations of the coastal states to test their preparedness against any attack. “The exercise aims to simultaneously activate the coastal security mechanism across all states and Union Territories. The exercise will cover a wide frontage covering for the first time the entire coast of India, including island territories. The exercise will also go deeper, being spread over seaward, coastal, and hinterland areas. Evaluation of critical areas and processes, including inter-agency coordination, information sharing and technical surveillance will be undertaken. Multi Agency Audit and identification of gaps, shortfalls and incorporation of lessons learnt into SOPs are also the desired outcomes,” the press release said. The Exercise Sea Vigil will provide a realistic assessment of the strengths and weakness of India’s defence preparedness and this will help further strengthening of maritime security and in turn national security. 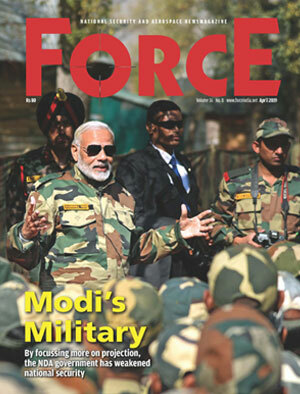 While Indian Navy has been conducting smaller exercises in coastal states on a periodic basis, the conduct of a security exercise at a national-level is unprecedented. The scale of the exercise is unprecedented in terms of the geographical extent, the number of stakeholders involved, the number of units participating and in terms of the objectives to be met. 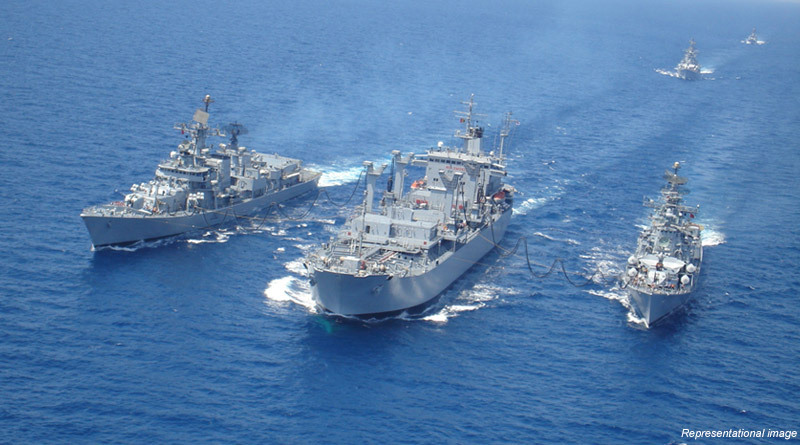 The exercise is a build-up towards the major theatre level tri-service exercise TROPEX [Theatre-level Readiness Operational Exercise] which Indian Navy conducts every two years. “Sea Vigil and TROPEX together will cover the entire spectrum of maritime security, including transition from peace to conflict. All operational assets of the Indian Navy and Indian Coast Guard are participating in the Sea Vigil. The conduct of the exercise Sea Vigil is also being facilitated by the ministries of defence, home affairs, shipping, petroleum and natural gas, fisheries, customs, state governments and other agencies of centre and the states,” the statement added. The Indian Navy was designated as the agency responsible for overall maritime security, including offshore and coastal security, after the 26/11 attacks. The Naval Commanders-in-Chiefs at Mumbai, Kochi, Visakhapatnam and Port Blair were also designated as Cs-in-C Coastal Defence. The Indian Coast Guard was designated as the agency responsible for coastal security in territorial waters, including waters to be patrolled by the State Marine Police. In the discharge of these very responsibilities, Exercise Sea Vigil has been planned by the Indian Navy.